6" Solid PU tyres so no punctures and hardened plastic rims. PU tyres are light weight, have better elasticity are long lasting and have a high resistance to wear and ageing. Standing deck made of high grade Aluminum. 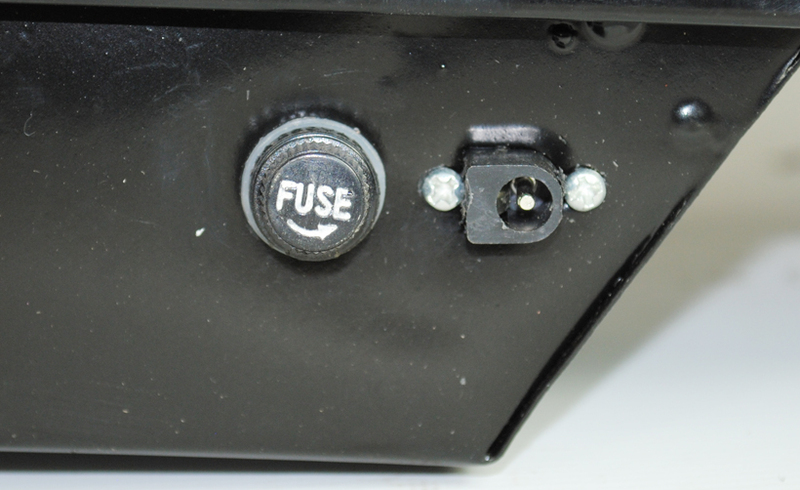 Does the motor kick in once you reach a certain speed or is there a trigger? What is the weight of this product and what is the max weight it will carry? Is the seat removable? Kind regards. Hello - thank you for your question. 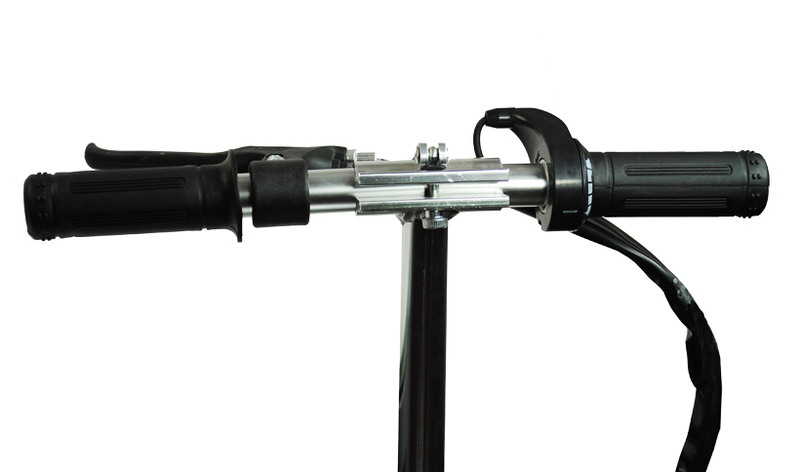 The throttle is a twist on the handlebars. The weight of this model is: 9kg. The maximum weight it will carry is: 70kg. The seat is can be removed. Hello - thank you for your question. Yes, this scooter is available in a variety of different colours. These can all be found on our website. I hope this helps you! Hello - thank you for your question. The maximum weight limit for this scooter is 70kg. I hope this helps you! Hi is this scooter suitable for an 8 year old? Hello - thank you for your question. Unfortunately this scooter is only suitable for children who are 12 and over. I hope this helps you! Could someone please clarify for me wether the seat and handlebars are height adjustable. I asked the question a couple of days ago and my reply was yes the seat and handlebars are fully adjustable. Then I went to order this morning and they tell me the seat is not. Hello - thank you for your question. 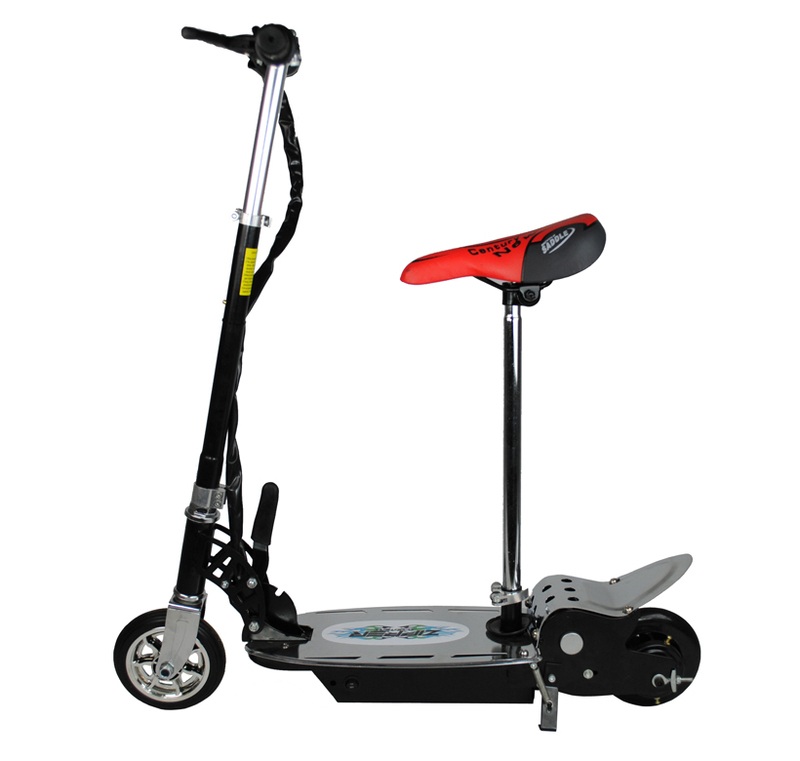 It varies which scooter you are interested in, however this scooter the handle bars can be adjusted 22inches from the footdeck but the seat cannot be adjusted. My apologies for the confusion. I hope this helps you! Give me please more details about dis Scooter. Hello - Thank you for your question. 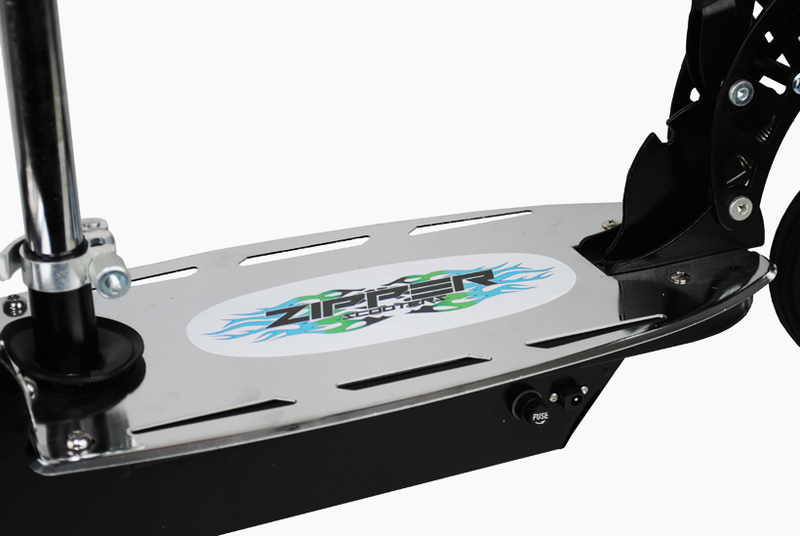 This electric scooter is an upgrade to the 100W scooters featuring strong aluminium deck and folding mechanism. 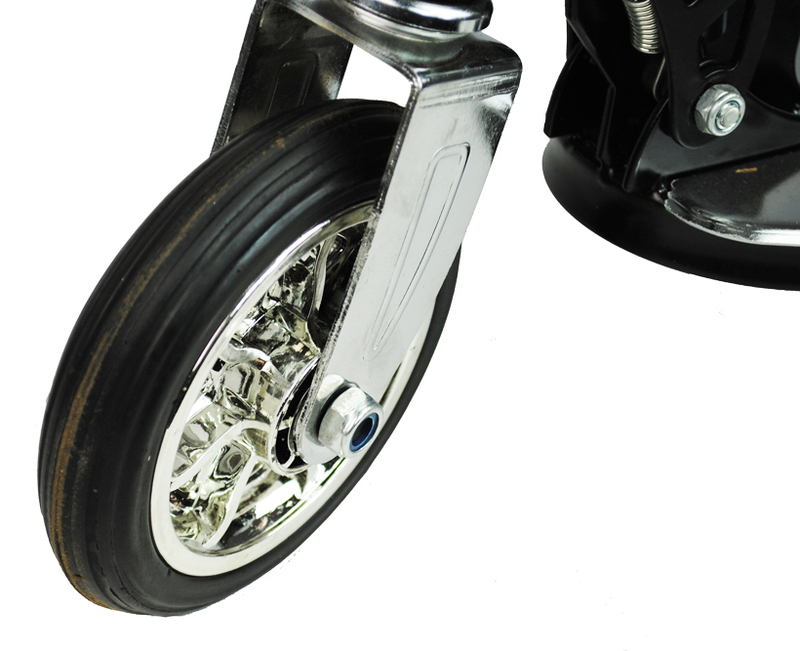 The 120 watt electric scooter uses the latest technology and has advanced features like 6" solid tyres and rear drum braking system. 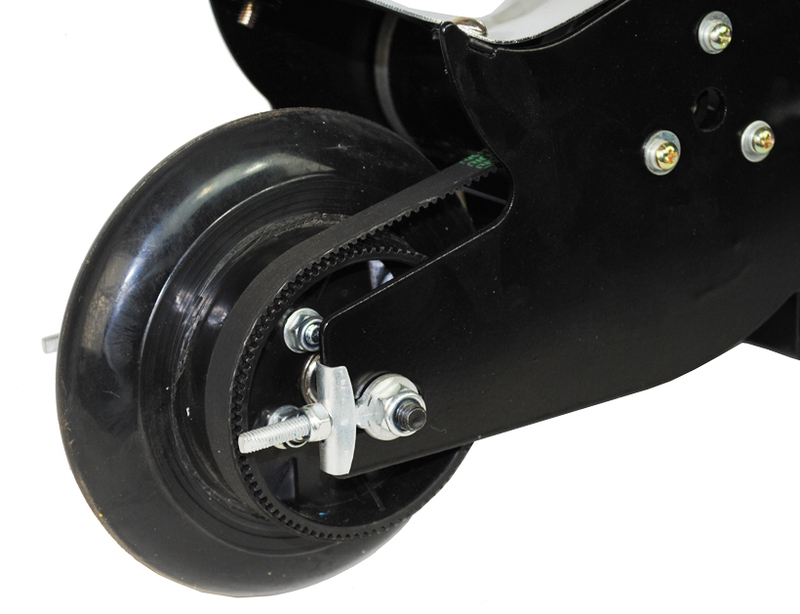 This scooter is amazingly strong and dependable, its frame is made of high tension steel so it can withstand dropping and being put through the rigorous use by any kid. Ability of covering 5 miles per charge with a maximum speed of 8-10 miles per hour. I hope this helps. Do you stock areplacement battery for this model? Hello - Thank you for your question. Yes we do stock a replacement battery for this model, please follow this handy link to the spare battery; https://www.scootercity.co.uk/spares/battery-12v-45ah-for-vhe02a-mini-electric-scooter.html I hope this helps! Hello - Thank you for your question. The maximum weight we would recommend is approximately 8 stone. Hello - Thank you for your question. Yes you do charge it, in regards to the charge time, usually this takes 6-8 hours. When you run out of battery, can you use it like a normal scooter? Hello, Unfortunately you cannot as if you were to use this as a normal scooter, it would put power back into the scooter which could cause damage to the motor. The top speed of the scooter is 8-10 Mph and the range is 5 Miles. Both, depending on weight and surface. On a full charge, this scooter will last around 5 Miles depending on user weight and surface. Hi, Thank you for your question. Yes there is a 6 month warranty with these items. Yes, the seat is removable. Hi, Thank you for your question. Yes this would be suitable. Hi, Thank you for your question. Around 8 stone would be the maximum weight. It's a nice solid scooter. It's nippy enough for the kids to have fun without being so fast that it's dangerous. I don't think the plastic ones would survive very long in my house. Now they all want one so will be ordering again soon!